Are you brassed off to travel with throw-away zipper bags from the drug store? 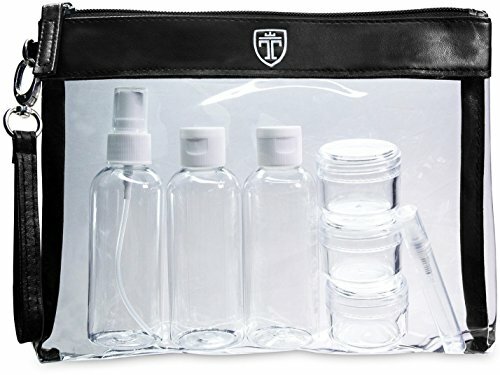 Our Reusable Clear Toiletry Bag is the perfect solution for you and your cosmetic items. The handy Toiletry Bag is reusable and cuts a fine figure in your bathroom and at the airport. The SMART-HANDLE allows you to take the washbag with you whereever you go. Dimensions: 9.1" x 7.1" x 0.4"
Add the toiletry bag in your shopping cart and set yourself apart from the throw-away zip bag users! If you have any questions about this product by TRAVANDO, contact us by completing and submitting the form below. If you are looking for a specif part number, please include it with your message.